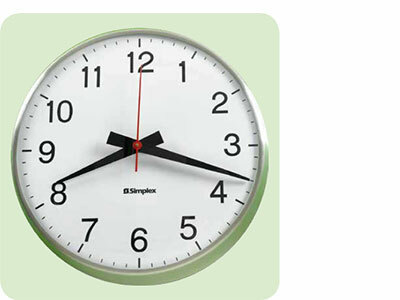 Simplex wireless clocks incorporate multi-function software as well as a microprocessor based movement. 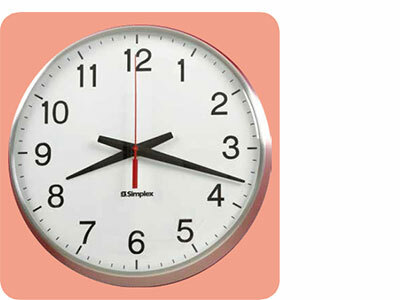 Every clock is a transceiver, meaning it both receives the signal and retransmits it to the surrounding clocks. 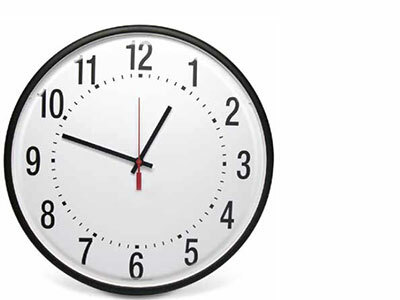 Since every clock is a transceiver, the clocks not only can get the time from the main transmitter, but also the surrounding clocks. 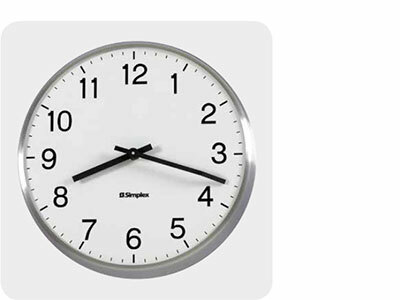 Simplex wireless clocks transmit a stream of data every two hours (standard) or four hours (economy) on the battery operated (2 D cells) model, and every minute on the 230V models. 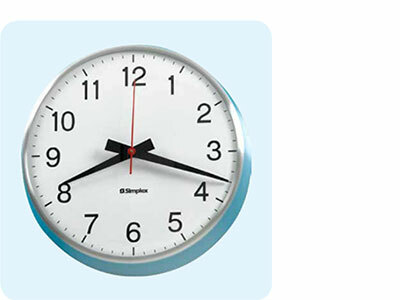 These clocks include automatic calibration, as well as enhanced diagnostic functionalities that allow the user to view the quality of the signal, how long since the last time the clock received a signal, and a comprehensive analysis of the clock itself and remaining battery life. 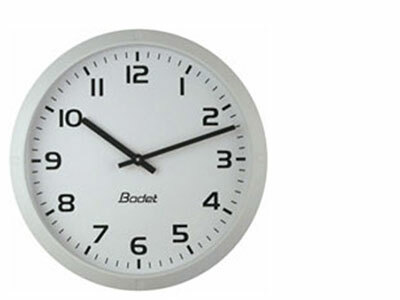 Clock designed for indoors ; round, extra flat with black hour - minute hands. 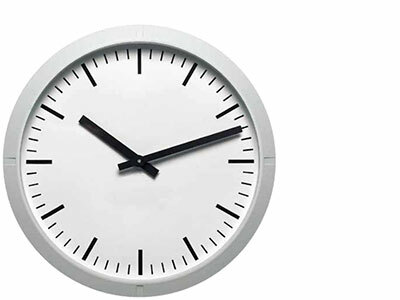 Clock designed for indoor use ; round, extra flat with black hour - minute hands. 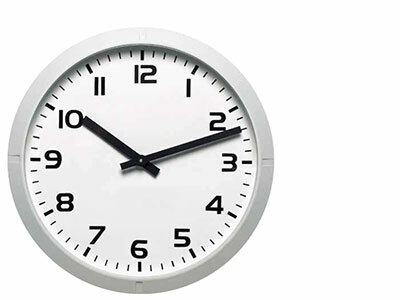 Accurate, synchronized time in a sleek analog format.